The Wye Valley River festival flows down the communities of the riverside , bringing all sorts of fun, and arriving in Tintern on 14 May. Lord Elis -Thomas, Minister for Tourism was there to open the Museum of the Moon in Tintern Abbey on a golden evening. 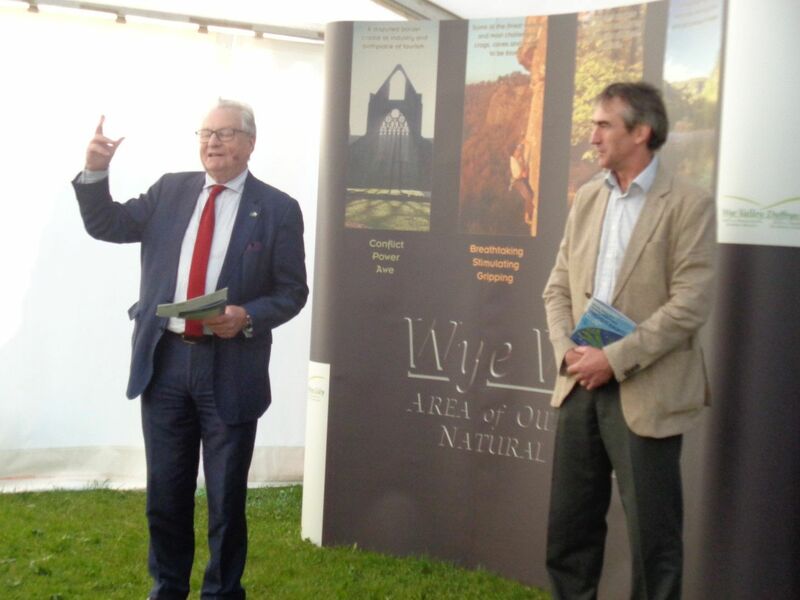 Malcolm Wilton said "Fiona and I met Lord Elis- Thomas when he presented Monmouthshire Cottages with the Visit Wales best Self Catering Award some months ago.Its great to see him here in Tintern where we can show him our incredible Wye Valley "office"! " Monmouthshire Cottages best self catering in Wales- official! By entering your email address you agree to be contacted by Monmouthshire Cottages in relation to news and updates. Fiona and Malcolm Wilton. Monmouthshire Cottages LLP registered in England and Wales OC361130. All rights reserved.